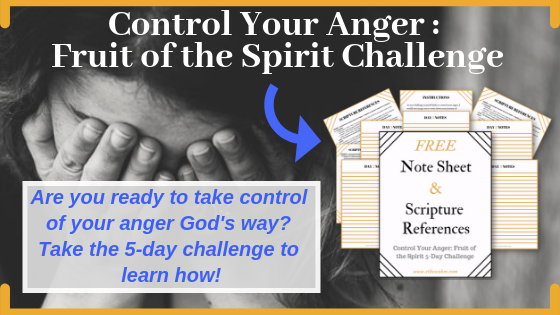 * ARE YOU TIRED OF LOOSING CONTROL OF YOUR TEMPER? * DO YOU FIND YOURSELF GETTING UPSET MORE THAN YOU WOULD LIKE? 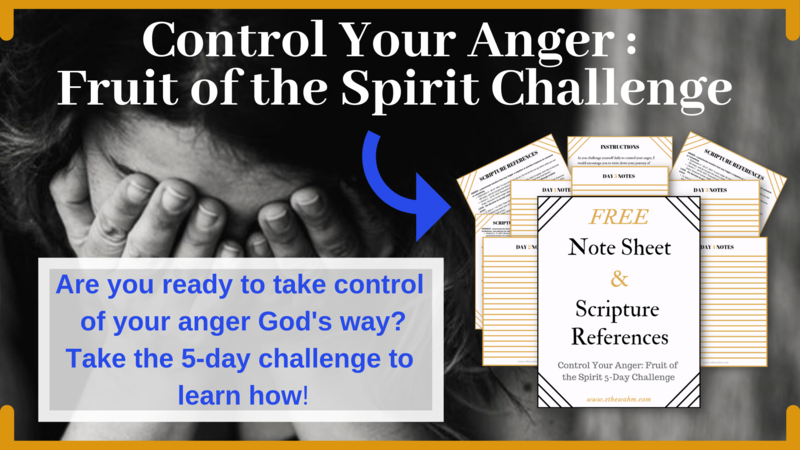 * HAVE YOU TRIED TO STOP ALLOWING YOUR ANGER TO CONTROL YOU BUT HAVE'NT FOUND A REAL SOLUTION? 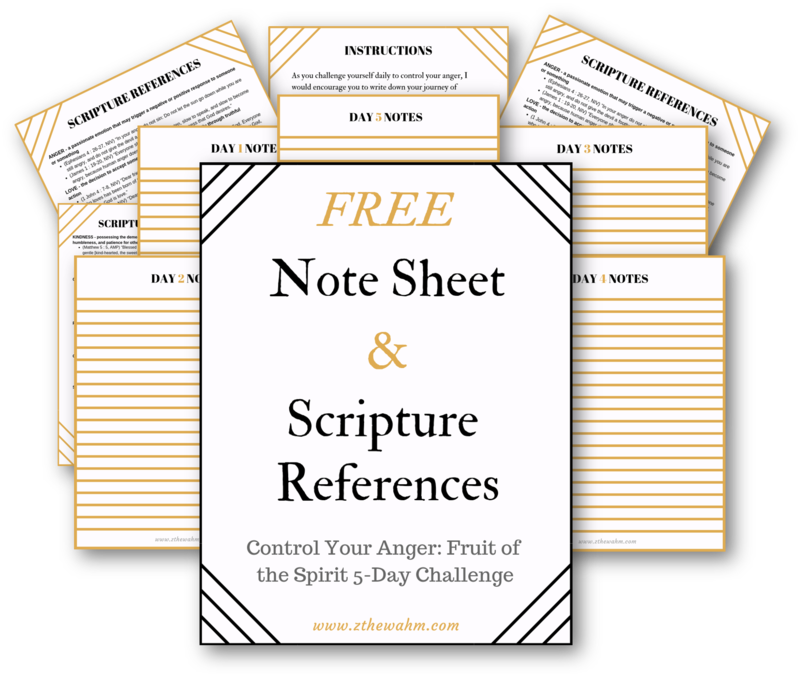 Join the FREE Control Your Anger: Fruit of the Spirit Challenge NOW ! 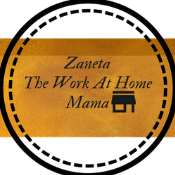 Don't forget to add me (heymamas@zthewahm.com) to your email contacts to ensure I don't go to your spam folder.